I've been doing a lot of illustration work for Pinterest over the last few months, but one of the first projects to break cover is the illustration and design for the new "Place Pins" feature. It's a great new tool allowing you to tag and search by location and really adds a new dimension to an already great tool. 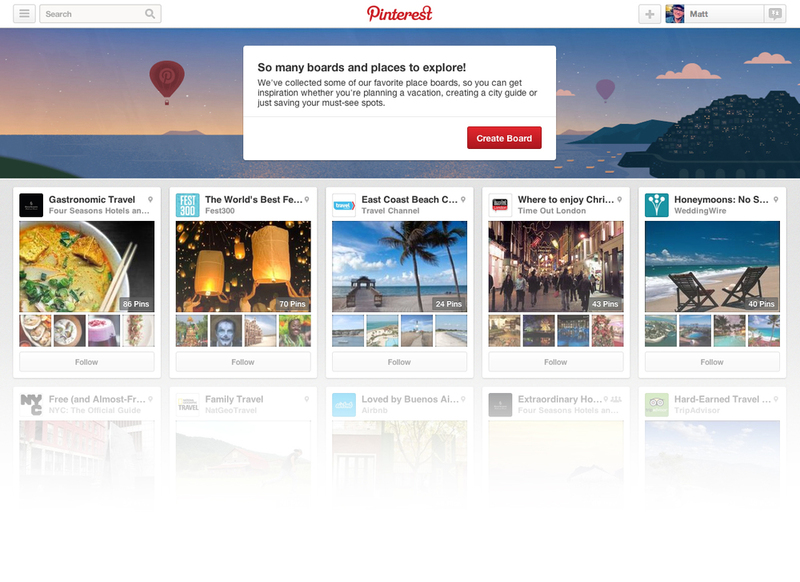 The first phase of the project was to create a seamless illustration that would appear in the Pinterest product at launch. The proportion of this illustration was really unusual in it's width and the goal was to take the viewer through 3 locations via a "helper" header on the Pinterest site. I did early rough sketches based on the brief. We were going to take the viewer through the Irish countryside, past the Positano and then through a romantic European mountain vista. We ended up replacing the first scene with a Japanese garden and then I began developing the final renders of these locations. 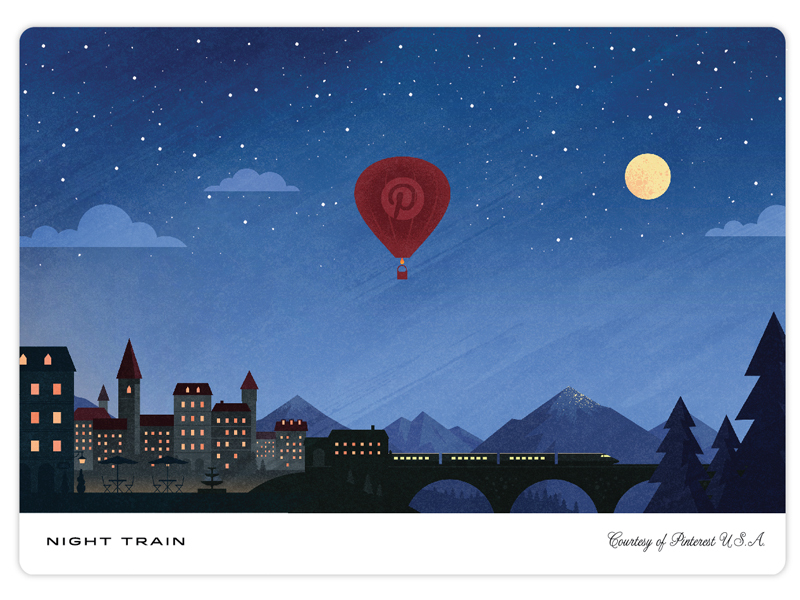 These illustrations then ended up in the Pinterest product, complete with a few fun pieces of interactivity. You can see it in action here. For the big launch event, we then reworked these 3 illustrations to produce a set of vintage style postcards. I produced several layout ideas, using classic postcard design as inspiration. The final pieces had the balloon embossed on the front, with foil stamped stars. Congrats on the big launch & thanks to Skip, Victor and the whole team.